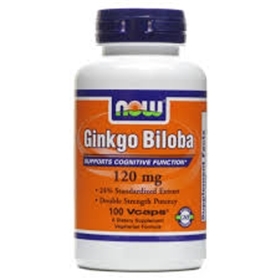 Ginkgo has been studied for its effectiveness in the treatment of so many conditions. They Include: Alzheimer's disease, Cerebral atherosclerosis, Cerebral insufficiencies, Cochlear deafness, Dementia, Depression, Menopause, Peripheral and Cerebral Circulatory Stimulation, Peripheral Vascular disease, Raynaud's Syndrome, Retinopathy, Senility, Long & Short-term memory loss, Tinnitus, Vascular Diseases,& vertigo. It can increase blood flow to the extremities for people with blood sugar & neuropathy issues. Raynaud's disease is believed to be caused by blood vessels that over react to the cold and spasm, reducing blood flow and there by depriving extremities of oxygen. Ginkgo biloba may help this condition by widening the small blood vessels, which would keep these spasms from completely blocking the blood flow. It also increases blood flow to the brain, thus helping parkinsons patients relieve symptoms by allowing more of the depleted dopamine to be circulated to the areas that need it most. Suggested Usage: As a dietary supplement, take 1 Vcap® daily, preferably with meals. Consider taking this product in combination with NOW® Phosphatidyl Serine, Soy Lecithin and DMAE. Caution: Consult physician before consumption if you are currently taking anti-coagulant or MAO inhibiting drugs. Do Not Eat Freshness Packet. Keep in Bottle.